 The HomesUSA Alliance mission is to facilitate new home sales education for agents. Founded by Ben Caballero and Bob Hafer – they believe both builders and real eastate agents could benefit greatly from a closer working relationship. To Ben and Bob, it was apparent that agents needed a comprehensive source of new home information, and better insight into how the building industry works. Agents do not always understand why builders do what they do, and the same is true for builders when it comes to their understanding of why agents do what they do. In examining the most common issues expressed by builders and agents, Ben and Bob concluded the solution was more targeted education. In reading Bob’s bio one quickly understands he is eminently qualified in many home building and real estate areas with education being a strong point. Ben’s bio reveals his strong technology background and his new home sales production is without peer. The Alliance is their way of giving back to an industry that has given them so much. Builders and agents are cordially invited to join them in promoting goodwill and understanding between home builders and agents. HomesUSA.com®, a real estate industry pioneer, provides volume home-builders with a comprehensive REALTOR® marketing strategy. Case studies show HomesUSA.com’s clients sell homes 15 to 45 days faster than other builders. Included with the platform are professional photography, lead capture and forwarding, market monitoring, online reports, real-time notifications and more. Launched in 2007, HomesUSA.com combines technology and expertise to create processes that save home-builders time and money. HomesUSA.com serves clients throughout Dallas/Fort Worth, Houston, Austin, and San Antonio. For more information about HomesUSA.com, please visit the company’s web site at www.homesusa.com. As published by The Wall Street Journal and as independently confirmed by Real Trends, Ben is the #1 ranked real estate professional in the U.S. for 2016 in two categories: (1) number of real estate sales transactions and (2) cumulative transaction (dollar) volume. Ben has been the #1 agent in the nation in these categories for the last 6 years and is the first and only agent in U.S. history ever to exceed the $1 billion mark for residential sales transaction volume in a single year. Ben reports that he had in excess of 3500 home sales in 2016, totaling more than $1.4 billion in volume, topping his previous record set in 2015 by a wide margin. That year, he had 2491 home sales totaling $1.022 billion in volume. Between 2010 and 2015, he had 13,053 home sales totaling $4.316 billion in volume. Ben was named Most Innovative Real Estate Agent by Inman News in 2013, finalist in 2016 and an industry influencer in 2017. He received the 2014 Pinnacle Award for Real Estate Entrepreneurship, presented by Keller Williams Realty. He is CEO of HomesUSA.com, Inc. and is on the Board of Directors of the Greater Metro MLS, MetroTex Association of Realtors. A lifelong Realtor and former homebuilder, Ben has been a real estate broker since age 21. As the HomesUSA.com Operations Manager since 2006, Dinah assures that all systems and procedures run smoothly. She has worked in residential real estate for over 35 years, with expertise in property management of multi-family units across five states. She currently manages 60+ single family homes for the CEO of HomesUSA and is responsible for the day-to-day operations of the company throughout the Texas region. Prior to joining HomesUSA, Dinah was a Regional Investment Manager at Pinnacle where she was named Investment Manager of the Year in 2002. As a resident of the Dallas / Fort Worth Metroplex since the late 70’s, she lives in Wylie where she spends much of her time with her three grandchildren. Dinah also enjoys gardening and relaxing at her lake home. Kim Brookins is a name well-known to HomesUSA.com clients. She joined the team in 2012 as MLS Department Manager to work with our builder clients and provide them with the tools they need to navigate our system. Kim manages all details of the listing cycle from entering listings into MLS, to maintaining and updating listings, and closing the listings once sold. She promptly attends to client’s needs and requests with superior attention and professionalism. Her background and knowledge are instrumental in working with IT to make improvements to the HomesUSA system. 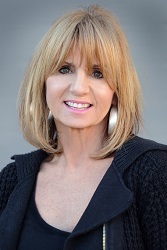 Prior to joining the HomesUSA team, Kim was owner of a new construction cleaning business, spent five years working in real estate, and owned two local restaurants for 13 years. Kim attended nursing school at Richland College in Dallas, Texas. She was raised in Kemp, Texas, a small town southeast of Dallas, and lived in Memphis, Tennessee, for nine years. Kim now calls McKinney her home where she enjoys spending time with her two amazing sons, Christopher (19) and Zachary (15), attending music venues, and being outdoors. David Cate joined HomesUSA in August of 2014 as Bilingual Assistant Program Manager. With a strong IT background, David manages software projects and is responsible for quality control. He collaborates with our team of software developers, testing the software and making recommendations for improvement. David also oversees our computer infrastructure to troubleshoot system issues and resolve in a timely manner. Most recently, David joined the MLS team to handle the processing of MLS requests and provide bilingual training on our Sales Accelerator System. David earned a Bachelor’s degree in mathematics from Texas Tech University in Lubbock, Texas, and speaks fluent Spanish. A Texas native from El Paso, he currently lives in Garland with his wife and enjoys organic and natural gardening. When he’s not working he enjoys reading ancient Greek and Hebrew texts. As a Bilingual Real Estate Agent, fluent in both English and Spanish, Anny joined HomesUSA to handle all preowned home sales and listings. 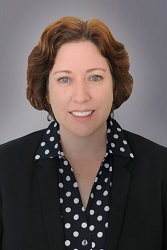 She brings over 16 years’ experience including a vast knowledge of residential construction and master planned communities, real estate law, and new home sales. In 2007, Anny received special recognition from the Home Builders Association of Greater Dallas and was honored with the McSam Silver Award for Best Sales Professional with an average sales price under $150,000. She also received numerous awards in 2006 from KB Home including Top Closer of the Year and the Star Award. Anny is a graduate of the Universidad del Zulia in Venezuela where she earned a Bachelor of Arts degree in Liberal Arts and her MBA in Administration and Management. Prior to joining the HomesUSA team, Laura worked in Mortgage Loan Servicing for seven years and worked for various construction companies for eight years prior to that. Laura attended school at Collin college in Plano Texas. She was raised in Cody Wyoming and has been in the Dallas Metroplex for twenty-six years. Laura now resides in Frisco Texas with her three children who are active in sports and after school activities. Rosane joined HomesUSA to be the point of contact and manage the day-to-day operations for HomesUSAAlliance.com. She is fluent in English, Portuguese and Spanish. 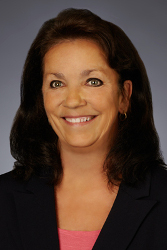 Prior to joining HomesUSA Rosane worked in administrative roles for various companies. She also spent 6 years as a Hazard Mitigation Specialist for FEMA where she advised communities and home owners to build stronger and smarter to lessen the impact of disasters and reduce loss of life and property. Rosane has a Bachelor’s degree in Business Administration from the State University of Goias in Brazil. She enjoys spending time with her husband and son, taking photographs and traveling the world. Amy May is a valuable member of HomesUSA.com’s customer service team with several years of experience in a variety of areas in the real estate industry. Her expertise and commitment to personal and professional excellence make her a valuable asset to HomesUSA.com and its clients. Attending North Central Texas College, Amy is on the pathway leading to both her AA as well as her BBA in Business and Real Estate with a strong focus on Real Estate Contract Law. With 17 years’ experience, Amy works alongside our MLS team from start to finish so that collectively, each client gets the best customer service possible. Lemna joined Ben Caballero in a previous business venture in the 90s. They are pleased to be working together again. Lemna is a highly energetic and talented sales and marketing professional with an extensive real estate background. She is very enthusiastic about returning to an industry she greatly enjoys. Lemna is a native Texan, has a daughter and enjoys spending time with family and friends. As IT Manager, Mark Praschan brings over 12 years’ experience in IT Project Management, Web Design, Supervisor, and Sales roles. He is a Certified Associate in Project Management (CAPM) and has contributed to the success of both Inc 500 and Fortune 500 companies. His experience across multiple industries provides HomesUSA with a valuable perspective on the evolving technology landscape. Born and raised in suburban Detroit, Mark and his wife moved to the Dallas-Ft Worth area in 2010. Outside of work, Mark and his wife enjoy travelling and have recently visited England, France, and Alaska. 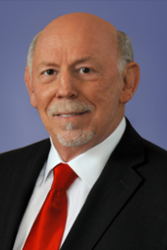 Bob Hafer’s 40-plus years of housing experience qualify him as a knowledgeable home sales specialist. During his first 23 years, he held management positions with a large national home builder ranging from sales to marketing, to merchandising, to research and development and then to regional president responsible for $100,000,000 in sales. Then for 15 years he provided sales training, merchandising, and marketing strategy expertise to over 100 new home builders coast to coast. He has been featured as a subject matter expert in nationally recognized media, including; Builder Magazine, Builder Radio, Realtor, Realty Times, The Real Estate Professional, Texas Builder, Texas Homebuilder and Professional Builder. In 2006 he authored Building Results – The Ultimate How to Guide for New Home Sales. In 2011 and 2012 he was awarded the Professional Realtor of the Year for Outstanding Service to the builders and remodelers of the Dallas Builders Association. 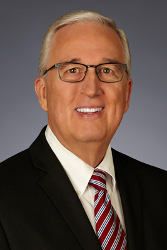 He has served on the Dallas Builders Association Board of Directors, chaired the Ambassadors Committee and he is currently serving on the Professional Development and Curriculum Committee for the MetroTex Association of Realtors. In 2013 he began teaching Dallas Realtors how to sell new homes through a 6-seminar builder series entitled ‘Have You Considered New’ and has developed a 7-seminar video series on selling new homes for Leading RE that is available to a national audience of Realtors. Currently he is responsible for developing new business with builders in Dallas, San Antonio, Austin and Houston for HomesUSA. HomesUSA manages builder MLS listings, provides marketing and management support and assists builders in identifying Realtors who desire to sell new homes. In 2016, he co-founded HomesUSAAlliance.com. The Alliance’s goal is to connect builders and Realtors through education and communication.